Following the previous post’s coverage of the Daylight Music prelude for Piano Day, here’s all of the information that I could gather up about the main event, which is taking place all around the world on Monday 28th March. This is the second Piano Day, following its very successful launch in 2015 by Berlin-based pianist and piano specialist Nils Frahm as a day for musical unity. As Nils puts it: “why does the world need a Piano Day? For many reasons, but mostly because it doesn’t hurt to celebrate the piano and everything around it: performers, composers, piano builders, tuners, movers and most important, the listener.” For anyone who plays, or loves, or has wrestled with the wood-strings-felt-and-levers monster, or its digital facsimiles, this is a day for you. 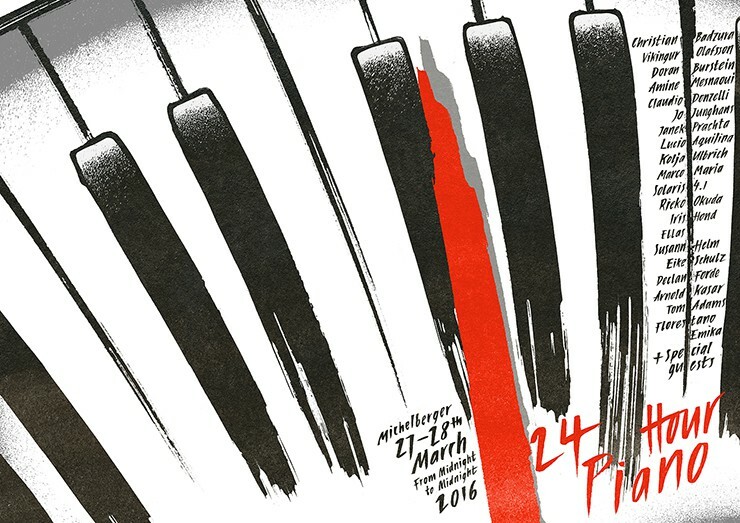 Twenty-four pianists play through a full twenty-four hour period, beginning at midnight on Sunday 27th March, and going all the way through into Monday, finishing at midnight on the 28th. 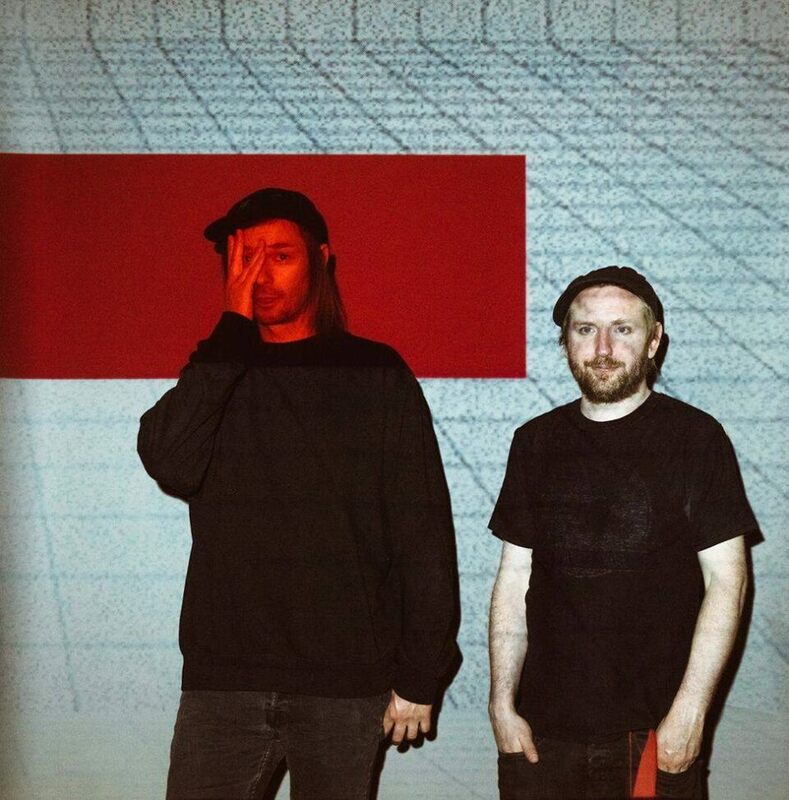 The contributors come from the wide range of creative musicians who make their home in, or are drawn to, the energised art scene of contemporary Berlin; and represent its cultural breadth. There are classical players (Víkingur Ólafsson, Marina Baranova); there are jazz and improv players (Declan Forde, Jo Junghanss, Rieko Okuda, Marco Maria and Amine Mesnaoui, the Moroccan jazz/New Music electric pianist who specialises in playing inside his Fender Rhodes). There are musicians from the dance scene – techno star/DJ/label boss Lucio Aquilina, electronica producer-composer Florestano (whose musical ideas all start on “an old black piano”) and Sonar Kollectiv mainstay Arnold Kasar (whose work is informed by dance music, Arthur Russell and prepared piano). Extra genre spice is added by English singer-songwriter and crossover multidiscipline musician Tom Adams, Anglo-Czech prodigy Emika (whose work spans from dubstep to classical), , Claudio Donzelli of folk trio Mighty Oaks, Doron Burstein (the composer/player behind the ‘Don’t Shoot the Pianist’ speakeasy event at Berlin’s Fahimi Bar) and Eike Schulz (who as well as being a pianist is one of the three scriptwriters behind recent one-take heist film ‘Victoria’) Other contributors to the day are more difficult for me to track and pin down from five hundred miles away (Kolja Ulbrich, Ellas, Janek Prachta, Christian Badzura, Solaris 4.1, Susann Helm) and even more special guests are promised for the twenty-four hour stint. “When is something old actually something new? Does music evolve in the imagination of the composer, in the hands of the musician or the listener’s head? And do these questions have a practical application in the concert hall? “Float PR, the Drowned In Sound webzine and the Late Night Tales label team up for an evening of piano, art, film and honey. Anna Rose Carter (the modern classical/ambient/minimalist pianist who’s one half of Moon Ate The Dark, in which her piano is fed through guitar signal processors and amplifiers by Christopher Brett Bailey) will perform a solo piano set made up of new compositions, existing pieces and works in progress. Chamber pop singer-songwriter and multi-instrumentalist Ed Harcourt will premiere some piano version of new material from his forthcoming seventh album, set for release later this year. Artist and musician Lily Hunter Green (accompanied by violinist Tom Moore) will perform on the piano against a backdrop of bee recordings. She will also present to the audience how her project ‘Bee Composed’ (which saw her placing a beehive inside a piano) has helped increase awareness of the declining bee population. Musician and creative coder Felix Faire (whose work explores embodied and synaesthetic experiences of music, space and image through the media of light, sound and code) will presents a real-time audio-visual performance using the ROLI Seaboard RISE, a radically new musical instrument that reimagines the piano keyboard as a soft, continuous surface and puts expression back at the player’s fingertips. (Felix’s previous work with ROLI technologies has included a Oskar Fischinger-inspired ROLI Seaboard GRAND ‘motion experiment’ designed to audio-visually illustrate the instrument’s delicate sensitivity and continuous expression: every nuanced sound created by contact with the Seaboard was translated into a swirling plume of ink, responding directly to the haptic expression of the performer). An intimate evening of piano performances from Erased Tapes artists and associates, with experimental folk musician and multiple collaborator Peter Broderick, film and television composer Michael Price (in duet with cellist Peter Gregson), and piano/glitch singer-songwriter Douglas Dare. All proceeds raised will go towards the donation of a piano for the World Heart Beat Music Academy, an organisation whose mission is to provide music training and mentorship to disadvantaged youth in London. Église Saint-Merri will host a dance-and-piano performance by Alvise Sinivia and Sabine Rivière (“Le son n’a pas de jambes sur lesquelles se tenir’, or ‘The sound has no legs on which to stand’); a program of American minimalists performed by Melaine Dalibert (which may also include her own ‘Cortège à Véra Molnar’); piano improvisations by Frederic Blondy and Alvise Sinivia (one piano apparently “suspended in the air”, the other “on the ground”) and Marina Voznyuk of Murailles; plus ‘Capricorn’ a poetry-and-piano performance by J.G. Matthews. T.Beach is the Lopez sisters (two voice, four hands) who play a piano music of water and love, inspired by the poetry of beaches and featuring recreational and melancholic French-language songs set to primitive rhythms. A self-taught multi-instrumentalist, Rasim Biyikli creates free-spirited music in multiple formats for film, art installations, software and so on. He is the founder of the research studio and multi-media resource center Studio d’en Ô, and – as a pianist – has worked and collaborated on many albums. He is best known for his project Man, which sits at the crossroads of pop, jazz, contemporary and electronic music (in the tradition of composers such as Brian Eno, Yann Tiersen, Angelo Badalamenti and Ennio Morricone). 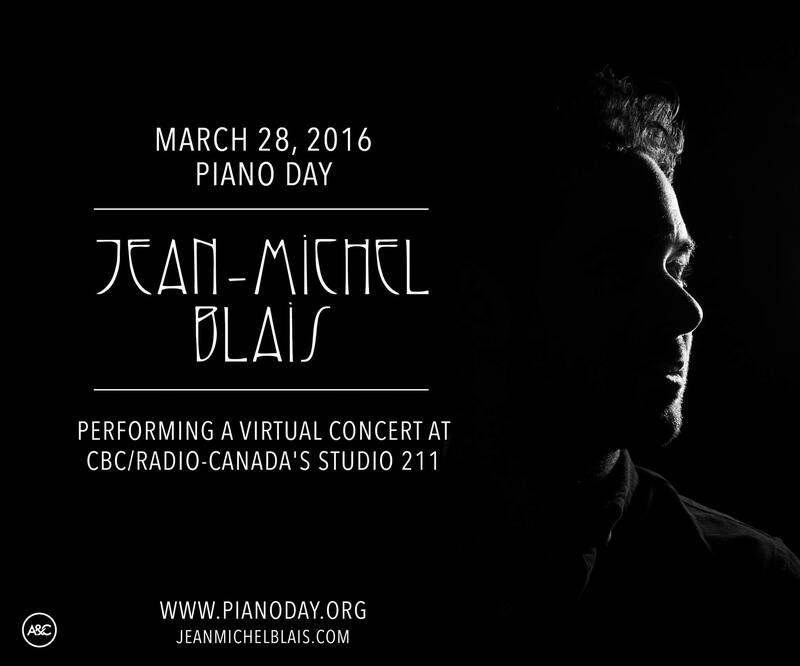 In a special virtual concert (recorded live in Radio Canada/CBC Music’s Studio 211) Montreal-based pianist Jean-Michel Blais will perform compositions from his forthcoming debut album ’II’(out on Arts & Crafts Records on 8th April), a collection of piano pieces and textures influenced by Erik Satie, Lubomyr Melnyk and Philip Glass and incorporating subtle touches of electronics and field recordings. The Israel event for Piano Day features two jazz pianists separated by sixty years but linked by their musical enthusiasm (veteran and Red Sea Jazz Festival founder Dani Gottfried and the up-and-coming Tomer Bar), Yonatan Daskal (keyboard player for Castle In Time Orchestra, Quarter To Africa and many more) and a contribution by Deejay Shuzin. In addition, there are performances by two of the broadest and most industrious of Israeli musical talents – Shlomo Gronich, a gifted pianist who, for four decades, has composed and delivered pop songs, soundtracks, television and dance music and orchestral/choral work (from a palette of jazz, classical, soul, prog rock and original Israeli songs, and working with a host of collaborators of all ages and backgrounds); and his latterday parallel Maya Dunietz (whose work covers and excels within a remarkably broad range of musical styles and approaches – free jazz, art rock, punk, polka, “circus-core” and classical; plus choral conducting, stints with the bands Eatliz, Habiluim, The Midnight Peacocks and the creation of sound installations). 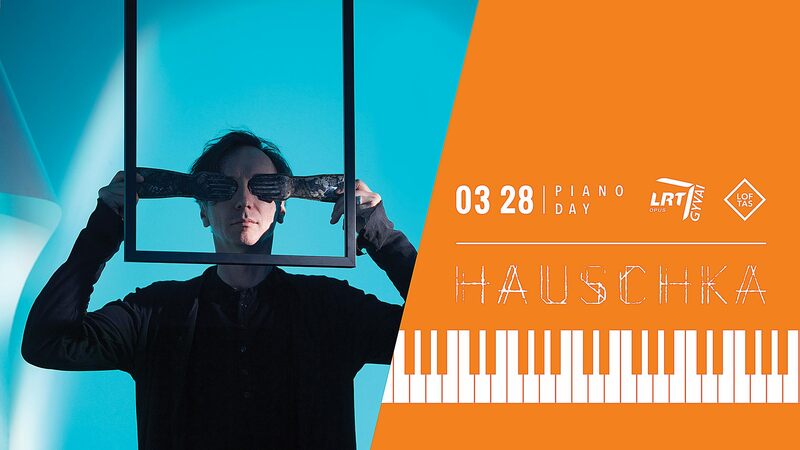 LOFTAS will host a performance by German pianist Volker Bertlemann, better known as Hauschka, an experimental/pop crossover musician who’s also one of the most recognizable twentiy-first century proponents of prepared piano. Kino Šiška is hosting an exclusive solo piano perfomance by Bowrain, a.k.a. 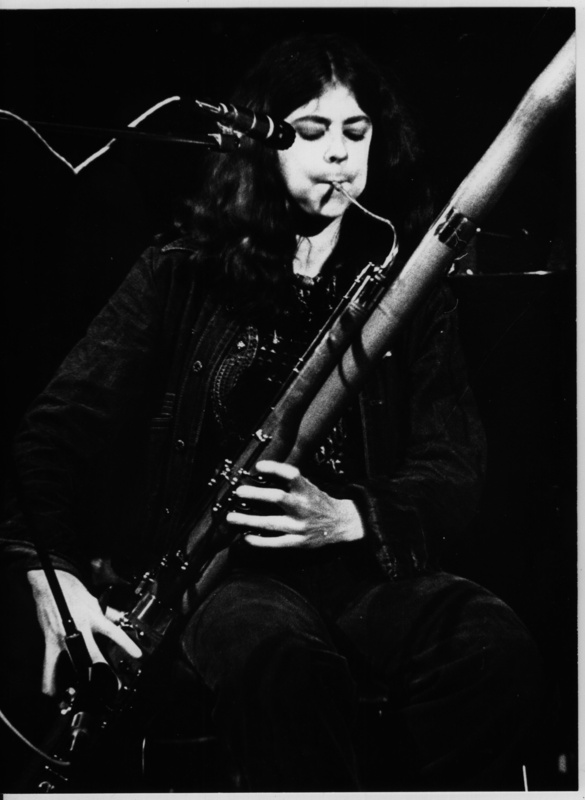 Tine Grgurevič, whose music usually incorporates jazz piano, modern classical elements, electronic beats and textures, and cunning uses of cultural and philosophical sampling. The evening will be opened by Nace Slak, a 17-year-old student at the Conservatory for Music and Ballet Ljubljana, who will perform piano pieces by Nils Frahm. The Piano Day celebration in Tokyo will host a show by pianist Haruka Nakamura playing in duo/trio setups with two other members of his regular ensemble (Akira Uchida on saxophone and Isao Saito on percussion). If all of this is making you feel a little left out – perhaps your country or city isn’t represented, or perhaps you’re feeling that you might have put something together yourself – then what’s stopping you? This the day when you don’t have to walk past that piano on the street, or in your workplace, or even gathering dust in your home. This is the day when you can strum a stray melody, pick out a single note, or indulge yourself with a full performance of anything at all, and know that you’ll be in touch with all kinds of players (from the remarkable to the casual) across the globe. And – if you missed the day altogether and are reading this too late, head back up and check out some of those links. Pianos everywhere. If I have a bit of time, I’ll flesh them out with a few more. 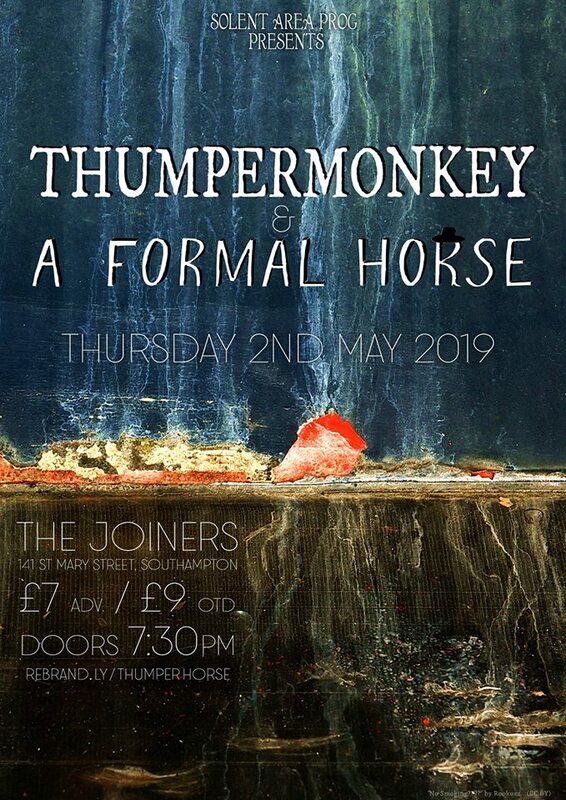 February/March 2019 – upcoming British folk/experimental gigs – Bell Lungs on tour with Raiments (20th February to 2nd March, various) with appearances by Despicable Zee, Michael Clark, The Nature Centre, Halcyon Jane, Tara Clerkin Trio and various DJs. Plus sundry other Bell Lungs shows in March including a København evening with Hugh Tweedie and Tanja Vesterbye Jessen, a show with David Toop and Rashad Becker, a date with Gaze Is Ghost. Organized sounds. If you like. New Jazz: We Search. We Recommend. You Listen. The title says it all, I guess!